You know the feeling when friends drop in unexpectedly and you hear yourself saying ‘you must stay for lunch/dinner’ all the while doing a frantic mental search of your fridge and thinking ‘what on earth can I serve’ ? 2 weeks into January and my resolutions are still going strong – well most of them ! I started my get fit regime (albeit gently) , had a great turn out for my first cookery class and enjoyed my first meal out of the year. 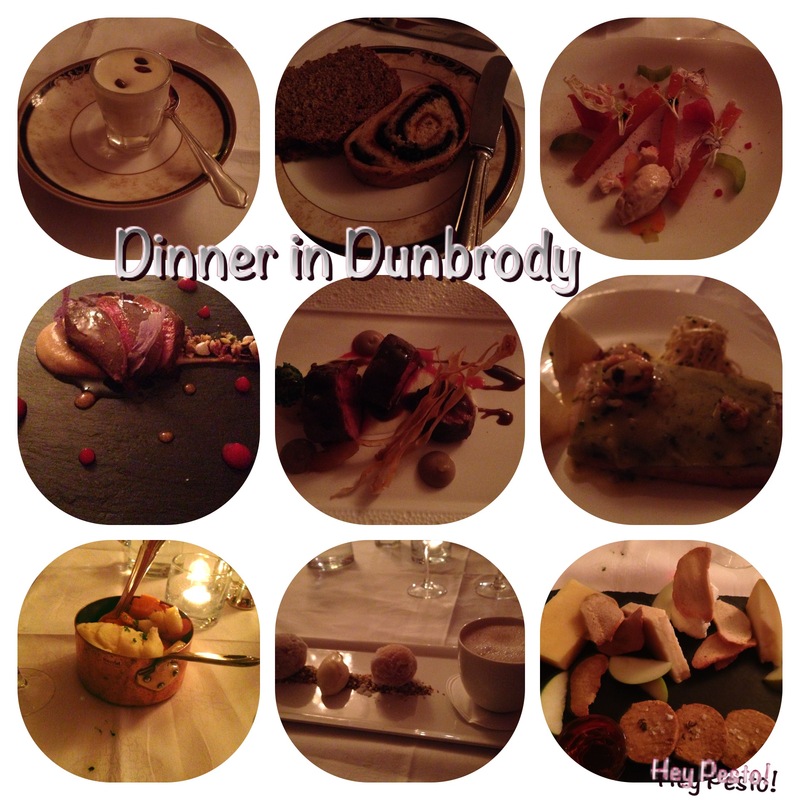 The Chief Taster surprised me with a night away in Dunbrody House Hotel – just the thing to chase away the January blues. If you haven’t been, Dunbrody is a beautiful Georgian House in Arthurstown , Co. Wexford run by TV Chef Kevin and Catherine Dundon. We stayed in a lovely room overlooking the garden and the beautifully laid out herb garden. I will admit to being slightly jealous 😉 The CT had to go do some work so I relaxed with coffee and my book. Then it was time to preen ourselves for dinner and pre-prandial drinks by the fire. I’m still searching for a ‘grown up’ pre-dinner drink – thanks to a recommendation from the cocktail guru Geoff Boyle I decided to try a Hendricks gin and tonic but was a little disappointed to be told that they had run out of Hendricks over Christmas. I picked a Campari from the drinks menu after that – it will not be my drink of choice 😉 . He stuck to his usual whiskey and was happy. We were served a very tasty salmon dip while we decided on our dinner choices and then shown into the beautiful dining room. Dinner did not disappoint. We both loved the black pudding and chorizo bread (I shall be attempting a version..). Then I had the Smoked Salmon and the Venison , while the Chief Taster had the Pigeon and the Halibut. I loved the flavour combination of the smoked celery root purée with the venison but I will admit to passing on the sunchoke! We don’t normally do desserts but our lovely waitress Sarah persuaded us – so he opted for the doughnuts and coffee and I went for the cheese board which would have comfortably fed four if not six people! And then there were handmade chocolates…… All these delights were washed down by a very pleasant Lawton Hill’s Pinot Noir. Would you believe the lovely Sarah turned out to be the equally lovely Paula Ryan’s niece. Talk about a small world! Breakfast was another feast – did I mention I’m joining a gym! There were two ladies in the dining room who were heading to the Cookery School for the day and I would have loved to have gone with them but unfortunately it was time to head back to reality. Speaking of cookery here is one of the dishes from my first ‘Healthier Cooking’ class – warm, comforting and healthy! Add the garlic and the paprika and cook for another minute. Add in the passata plus a pinch of sugar and the chickpeas. Leave to simmer over low heat for 10 minutes. PS Crisped chorizo sprinkled over the top may add a few more calories but it is rather delicious…. Pasta Bake for Supper ? 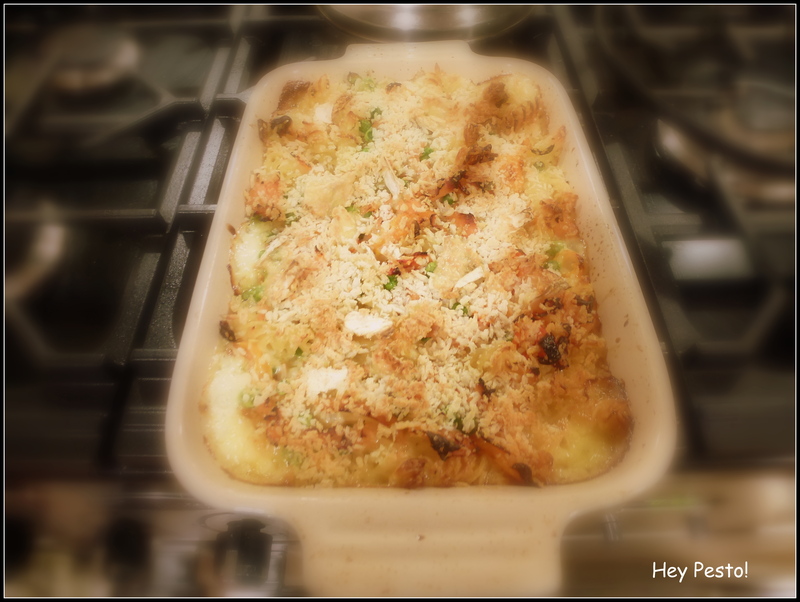 Way back when I didn’t cook – well career women didn’t – my idea of a cooked dinner was either a Marks & Spencer ready meal or, if I was feeling very adventurous, a pasta bake. And yes to my shame I used packet sauce – well I did add in the tuna and the sweetcorn and make the salad 😉 Actually thinking about it I feel sorry for my partner at the time – thankfully his Mother always invited us for Sunday lunch so he was guaranteed one decent meal a week! This is a variation on my standby recipe and as such I have to apologise as all quantities are approximate. I know – this used to drive me mad when I was learning to cook and it’s taken me a long time to be confident with ‘a bit of this and a handful of that’. I blame it on my scientific background. 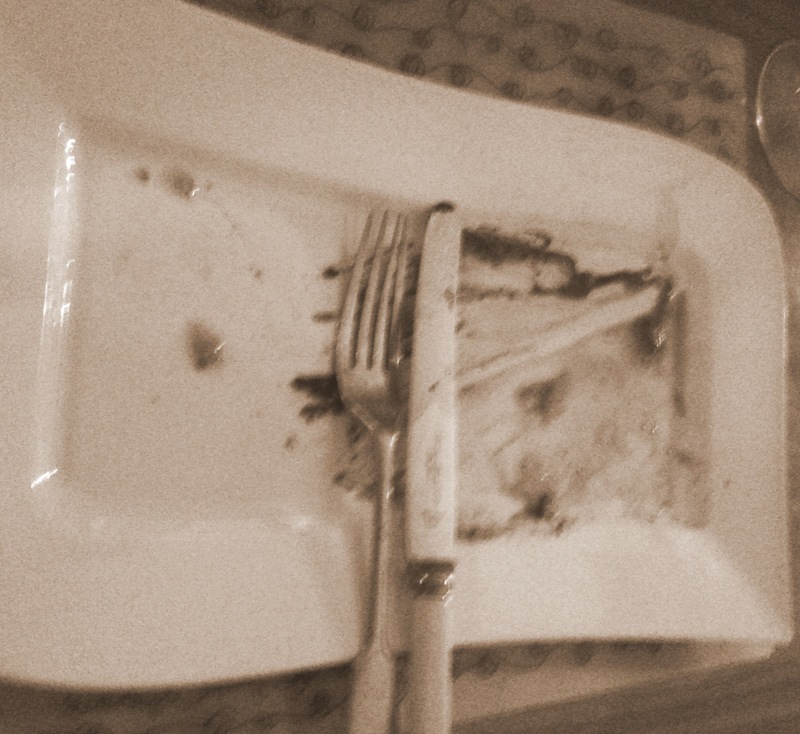 Thankfully the turkey and ham are long gone and all I had left was Smoked Salmon,Camembert and Cream ? Sauté a shallot and some chopped peppers in a butter/oil mix. Add some chopped smoked salmon (I used 2 long slices) , a handful of frozen peas and somecapers. Cook for 2-3 mins then add a good glug of vermouth(or white wine if you’ve a bottle open). Allow to reduce for few minutes. Pour in cream (I had about half a large carton left , approx 250ml) and a teaspoon of my ‘secret’ ingredient – Ikea‘s dill mustard. Trust me you need a jar of this in your fridge! Then add in the cooked pasta and transfer the mix to a casserole dish. Top with panko breadcumbs and chunks ofcamembert. Bake for 15-20 mins at 170 C Fan until golden and bubbling. A few years ago my friend Siobhan and I headed to Swinton Park in Yorkshire for a residential cookery course with Rosemary Shrager. the location is beautiful and Rosemary herself gives the course and while she can be a tad scary she was great fun. We had an absolute ball and learned lots. 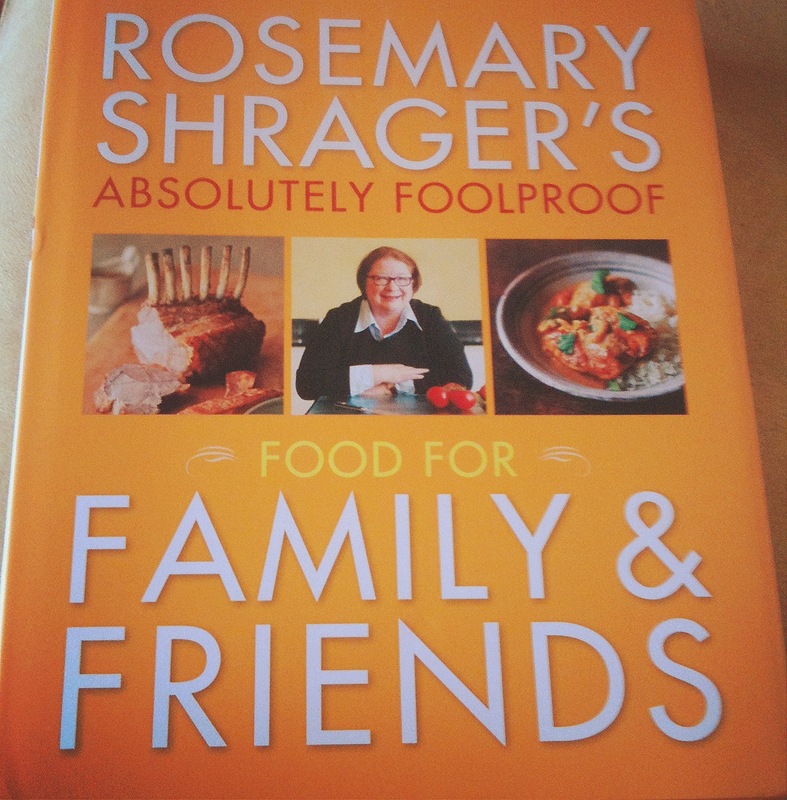 I use the recipes from the course regularly and also have a few of her booksthat are well-thumbed so I was delighted to receive a copy of her new book ‘ Absolutely Foolproof Food for Family & Friends’ from Octopus Books. When I saw the title I assumed the book would be full of quick and easy recipes for everyday meals which is not like the Rosemary I love. My assumption was wrong – this is a book for dinner party dishes that you can impress with such as Venison Carpaccio of Sea Bass with a Pickled Carrot Salad and Roast Crown of Pheasant , dishes for larger celebrations such as Salmon en Croute and even detailed instructions on curing pork and salmon. There is a lovely introductory section detailing all the kitchen equipment you may need (the only thing I’m missing is a potato ricer! ), what knives to use and how to use them. The recipe sections are divided by main ingredient such as vegetables, poultry, game and pasta. Each section begins with a very detailed technique complete with step by step pictures and complete with tips and ideas and possible variations on the main recipe. My pet peeve as you know is cookbooks without finished photos of each dish – this book unfortunately falls into this category. This surprises me as I learned so much about presentation when I was at the Cookery School but the detailed technique pictures are good. The other thing that I found strange is that there is no dessert section in the book. So what did I cook? Well for a change I gave my main taster the book and asked him what would he like for dinner. The choice : Scallops en Papilotte with Curried Coconut Milk and Pak Choi and Roast Venison with Chocolate Sauce and Braised Chicory. I was unable to find either pak choi or chicory so I decided that as a starter the pak choi could be omitted and I picked up some curly kale to use with the venison. Rosemary uses loin of venison in her recipe but as I had two venison steaks (farmed I will admit) in the freezer I used those. 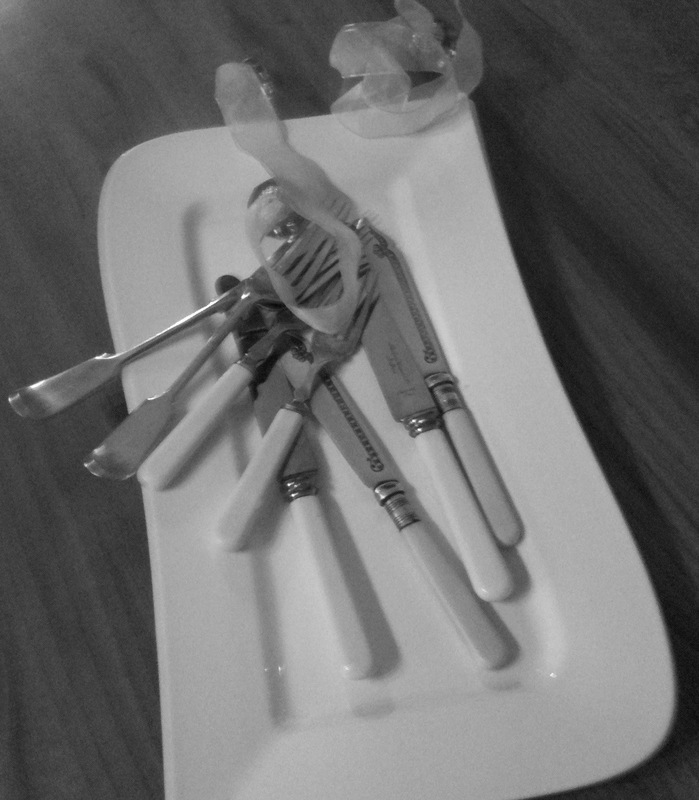 I spent a very pleasant afternoon prepping the dishes – the recipes are well laid out and easy to follow. The sauce for both dishes can be made ahead of time making them ideal for entertaining. 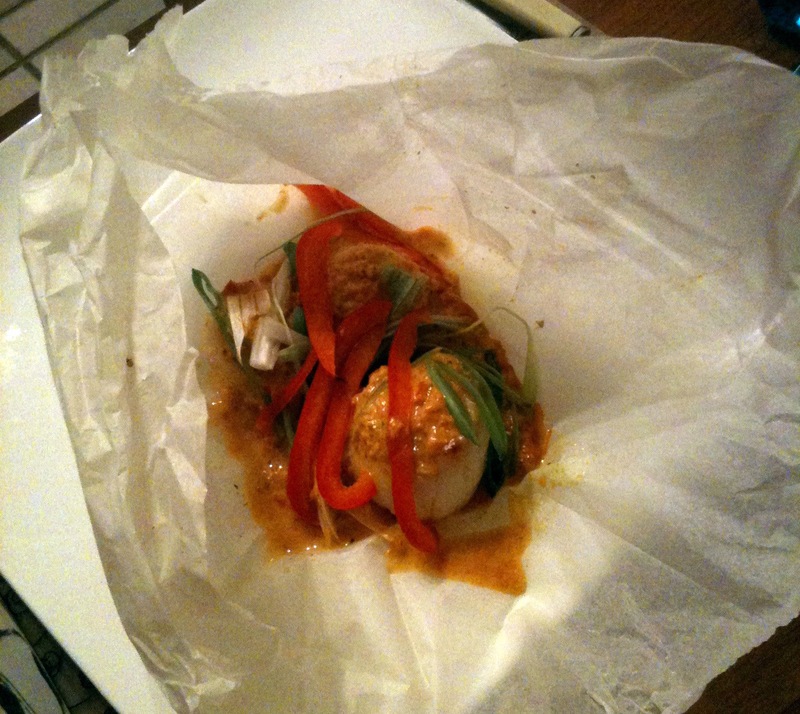 I julienned the vegetables for the scallop dish so when it came to dinner I just had to cook the scallops, assemble the parcels and put them in the oven for 10 minutes. There was a lot going on this dish flavour wise but it all worked and the pak choi wasn’t even missed! I decided to try the recipe for Fondant Potatoes and this was the only one I had any problem with – and I think it was my own fault for not adding enough stock. However I finished them in the oven and they were so tasty – they may even replace roast potatoes as my favourite! The chocolate sauce took time – and a lot of ingredients – but it was so worth the effort and it complimented the venison perfectly. I would have preferred to serve the dish with chicory but he loved the kale (I stir-fried it with orange zest and juice). 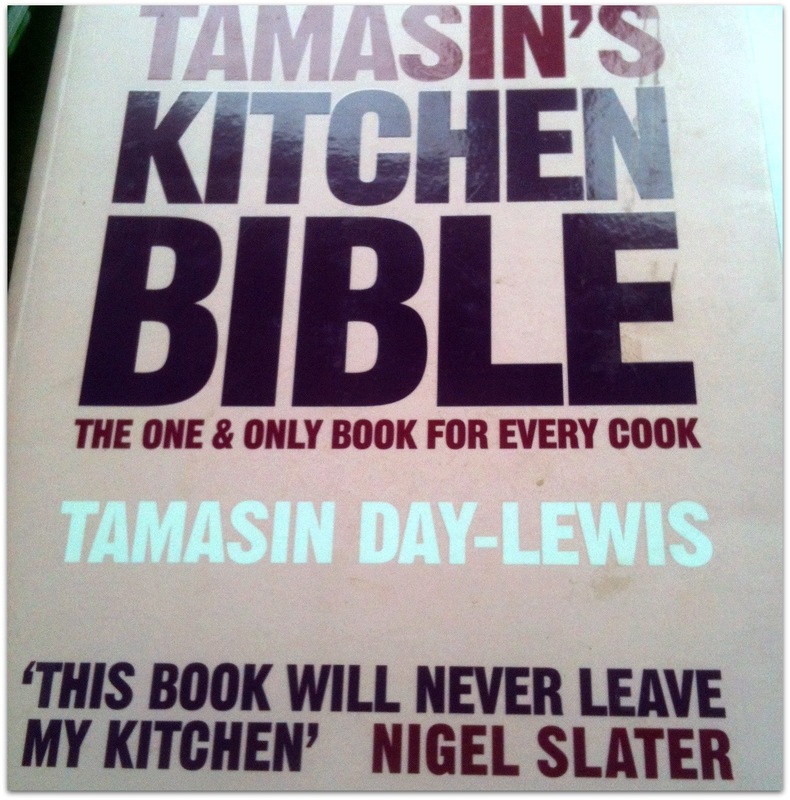 My verdict – if you want to impress your family and friends with your cooking then you need this book. Melt 30g butter in pan, add the leeks and bacon and cook gently for 15 minutes. Add the wine and the redcurrant jelly and simmer until reduced to a syrupy consistency. Add the stock and simmer until reduced by half. Finally add the port and simmer to coating consistency. Cut remaining butter into cubes and whisk into the sauce a few at a time. Check for seasoning and serve. 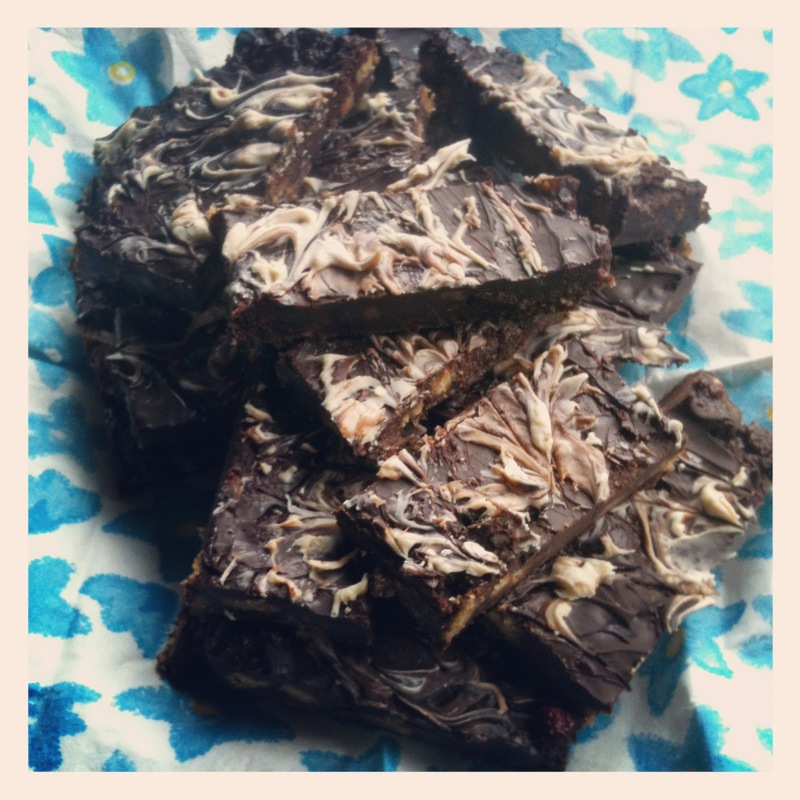 This post is especially for those of you looking for my Chocolate Biscuit Cake recipe…. 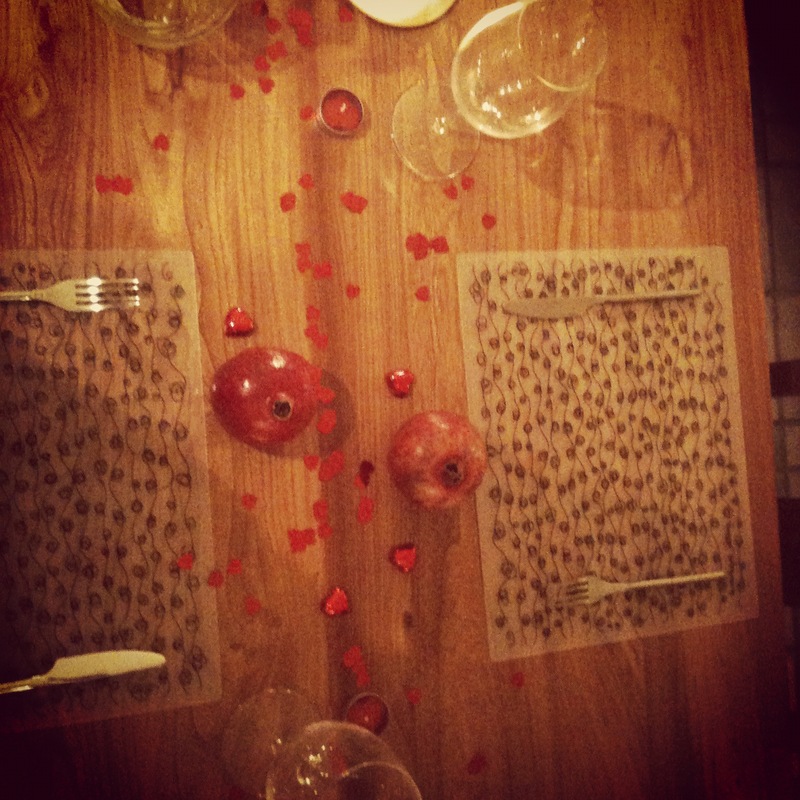 2) it was reduced in from something like €25 to €9 – who says I can’t economise? It is a a mighty tome with the recipes arranged in sections designed to take you from ‘Easy Things’ to ‘Serious Skills’. At the start of each section there is an introduction on what to expect. She also includes little hints and tips at the top of each recipe. The downside – the recipes are written in paragraph form rather than points making them (well for me anyway) less easy to follow and very few of the recipes have photos showing what the end result should look like. So what have I cooked from this book in the last two years? One thing and one thing only – Tamasin’s Chocolate Biscuit Cake – and yes I know strictly speaking it’s not cooking! I have added a few bits and pieces to the original recipe and left out the cream that she puts in the icing. These additions may change depending on what’s in the store cupboard so my version is a cross between Chocolate Biscuit Cake and Rocky Road – but I’ve had no complaints yet! Put the butter, chocolate and golden syrup in a saucepan and allow to melt gently over a low heat. Don’t allow mix to boil! Add the mini marshmallows and dried fruit to the melted mix. Then stir in the crushed biscuits, making sure that they are well coated. Turn the mix out into a lined shallow baking tin (approx 30 *20 cm). Allow to cool then Leave to set for a few hours (or overnight) in the fridge. Now that I’ve pulled this book from the shelves I really must try a few more recipes……. 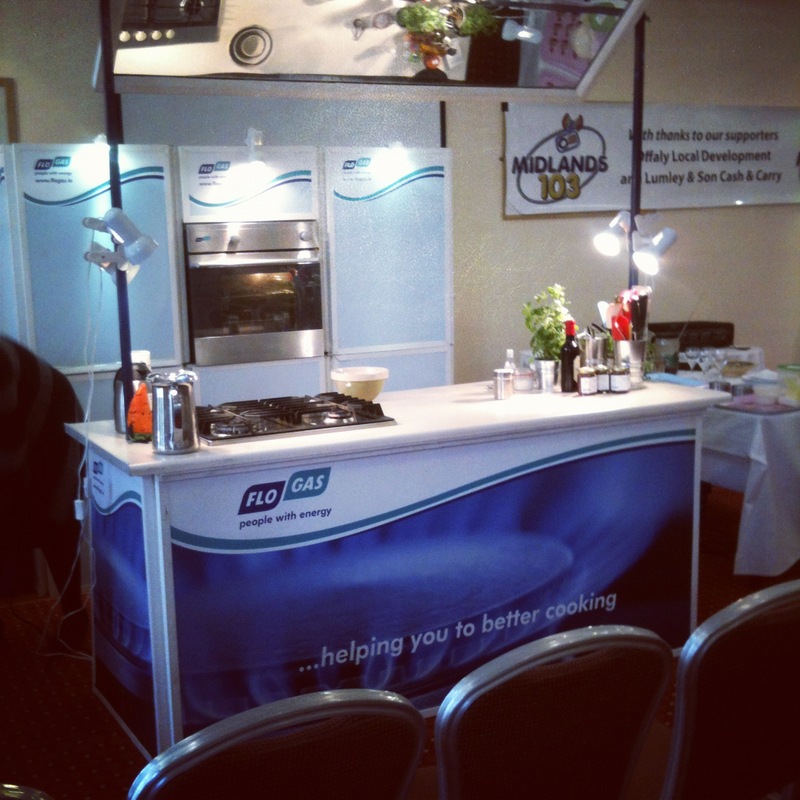 After the fun and success of last year’s Taste of Offaly I was delighted when Midlands 103 invited me back for a second year! 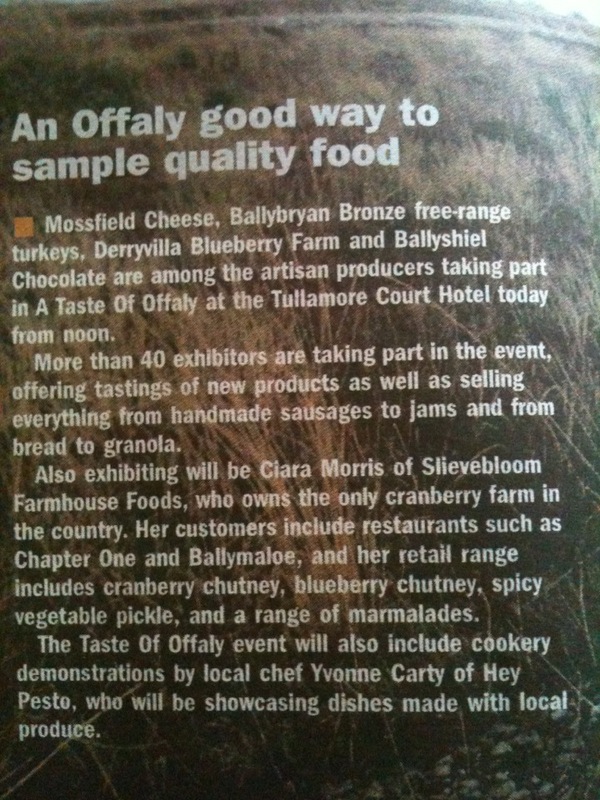 We have SO much good produce in Offaly and it’s a privilege to be asked to come up with ideas to cook with this wonderful food. The exhibition hall was hopping all through the day and it was great to catch up with all the food producers. Thanks to everyone who supplied the ingredients and I hope I haven’t left anybody out! This year I also had the opportunity to watch the other demos and really enjoyed watching Feargal O’Donnell from the Fatted Calf and Numb from Bang Thai cooking with our local produce – it’s great to learn from other chefs! Plus I owe a big thanks to Feargal for helping me out with frying pans, cheese etc (though I’m a bit peeved he didn’t share the fresh tarragon!) . The Fatted Calf is definitely on my ‘to visit’ list – if only to taste more of the smoked beetroot! 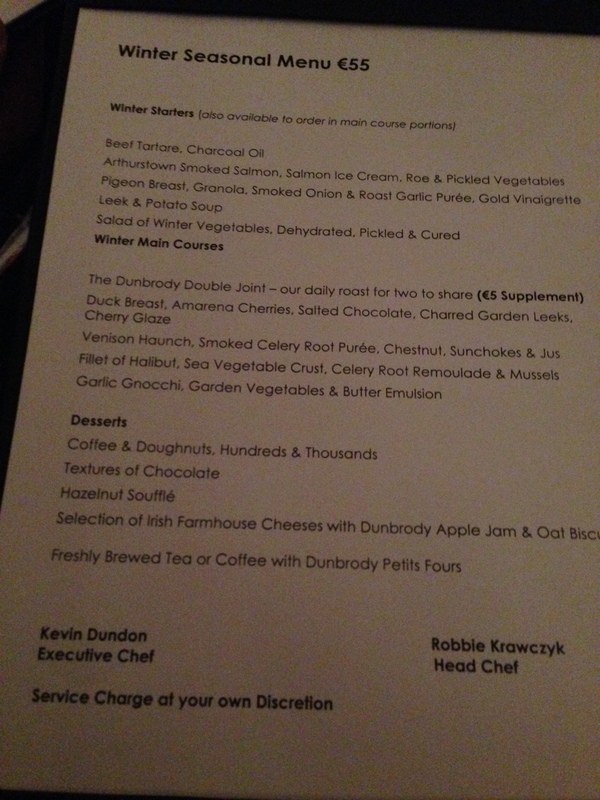 As promised here are the recipes from the day…..
5 tbsp Tullamore Dew whiskey, plus a little extra! Heat the oil in a large frying pan over a high heat. Cook the pork pieces on one side for 2-3 minutes until golden-brown. Add the butter to the pan then turn the pork over and cook for 1-2 minutes until browned on the other side. Transfer the pork to a warm plate and set aside. Pour in the whiskey to deglaze the pan,making sure to scrape up any bits of pork on the bottom of pan. Reduce the heat and add the onion and sauté for 5 minutes, until softened but not coloured. Then turn the heat back up, add the stock and bring to the boil. Reduce the heat again and leave the sauce to simmer for 15-20 minutes or until reduced by approximately half. Pour in the cream and whisk in the syrup. Season, to taste, then add in another little dash of whiskey! Add the cooked pork back into the sauce along with the tarragon, and heat through foe a few minutes before serving with rice. 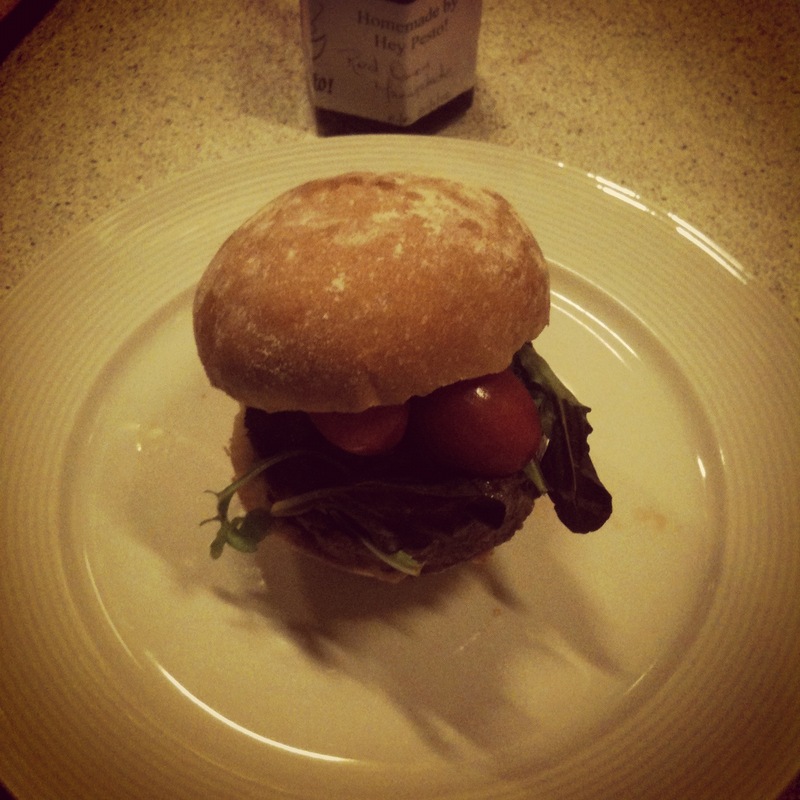 This is a nice easy recipe – you just mix all ingredients together in your food processor and then form into burgers. Cook the burgers for about 5 mins each side. I served them in O’Donohue’s burger buns which Cathal kindly made for me, beautiful salad leaves from Lough Boora Farm and my own red onion marmalade. 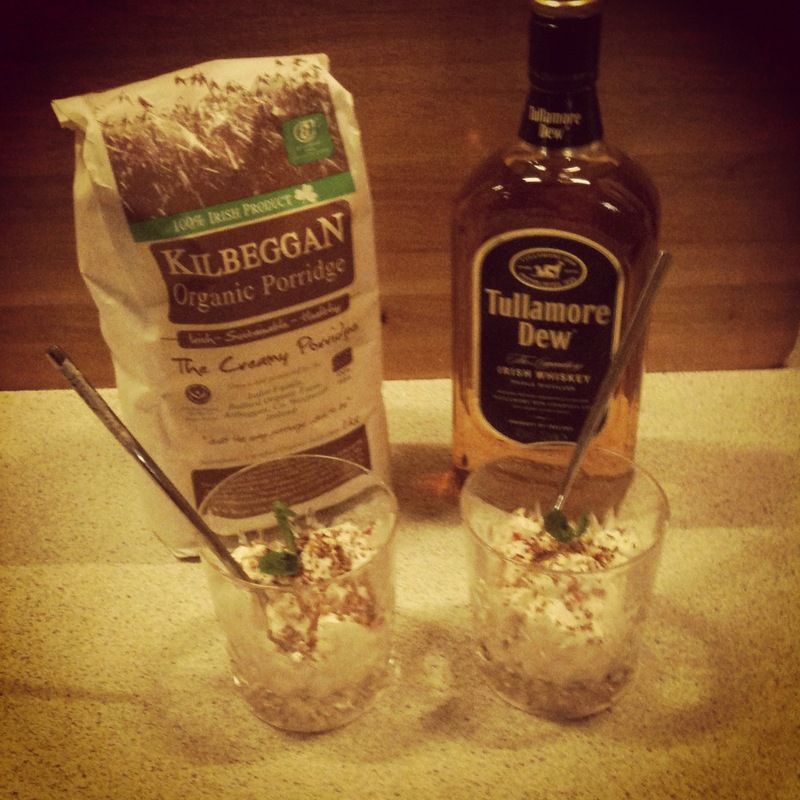 I knew I was under pressure when I tasted the biscuits on the Kilbeggan Oatmeal Stand – they were seriously good! 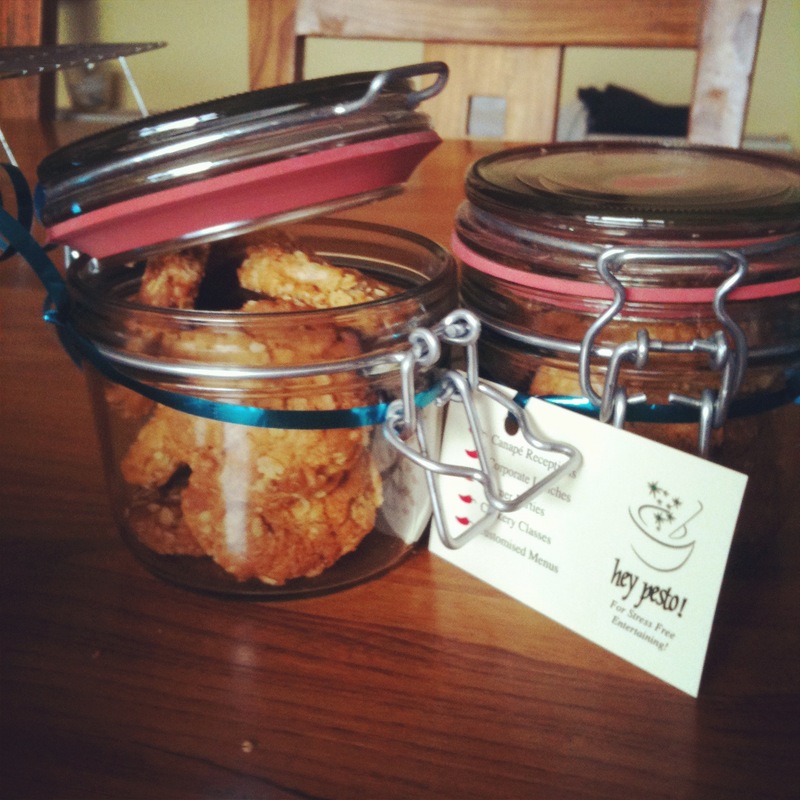 Pat’s wife , Lily had made beautifully crisp cookies so we had a great chat about the differences in our recipes – the main one being the that I used the jumbo flakes whereas she uses the finer flakes. the recipe I use is a childhood favourite that my Mum always makes – I hope you like them! Melt the butter and sugar slowly over a low heat. Fold in the flour and the oatflakes. Bake at 180C /Gas 4 for 10 mins until golden brown. an Offaly Version of Cranachan! We really have an amazing wealth of local produce in Offaly – please support these dedicated food producers and choose local! Thanks again to Midlands 103, all the food producers, everyone who came along to the demos and a special thanks to my Mum and James for being my assistants on the day! PS there’s another exciting local food project coming up – watch this space! Did I mention I love cook-books? I may soon have to build a new room to house my ever-growing collection! I was delighted to receive a review copy of Diana Henry‘s re- released ‘Crazy Water Pickled Lemons‘ from Octopus Books . This is a beautiful book with such evocative writing that you can almost taste the food. In fact I got so engrossed in reading the book I almost forgot to cook some of the dishes! The recipes are grouped together by ingredients with lots of Middle Eastern and Mediterranean recipes – all food that I love. Each chapter starts with a description of the ingredients, each is given a personality – cardamon is a ghost that walks through dishes; figs are like hungry kisses; pomegranates are temptation; honey has a split personality, using saffron is likened to cooking with gold….. The food styling and photography is excellent BUT there aren’t pictures of all the dishes 😦 Note to Cookery Book Editors please show us what the finished dish should look like! 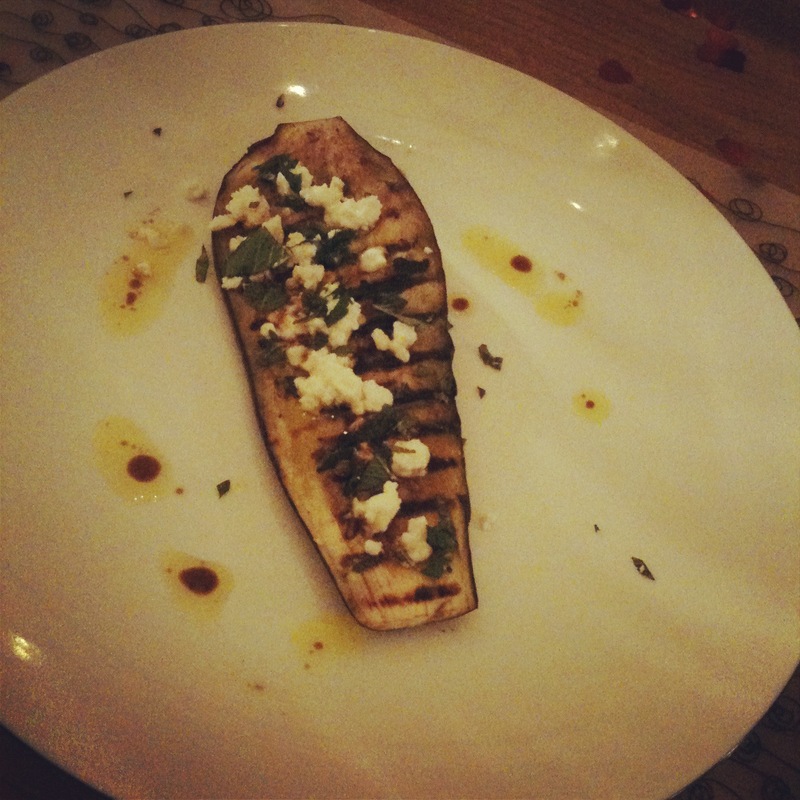 For starters we had the Aubergines with Mint – with added feta cheese. Neither of us are big aubergine fans but the verdict was positive. I’d use it in a starter mezze with a few more additions. 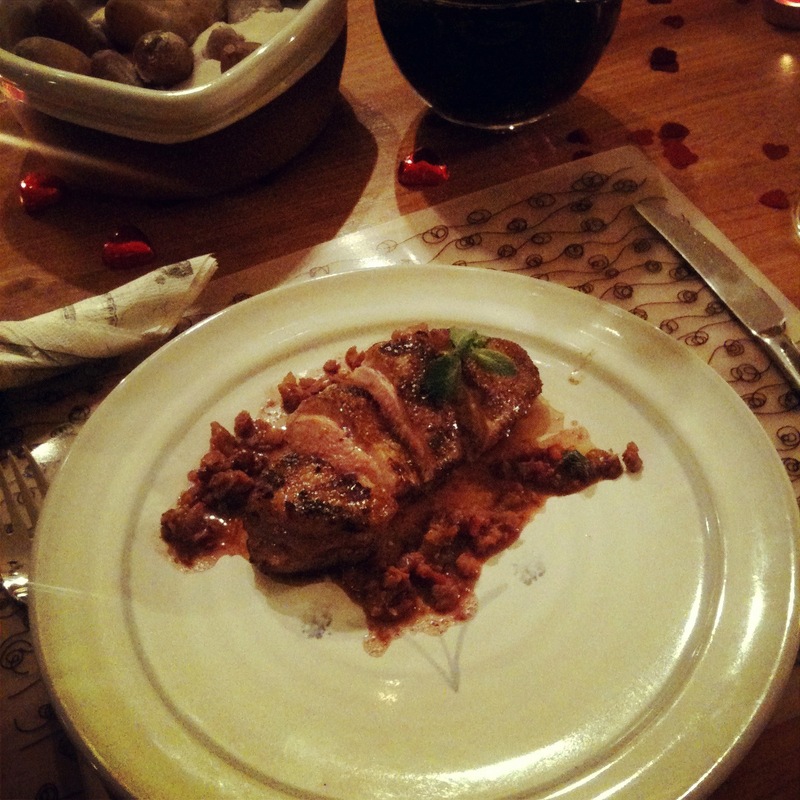 The main event was Breast of Duck with Pomegranate & Walnut Sauce made with the elusive pomegranate. The texture of the sauce was very different and the pomegranate seeds gave an unexpected crunch! The dish was accompanied by salt baked potatoes (yum!) 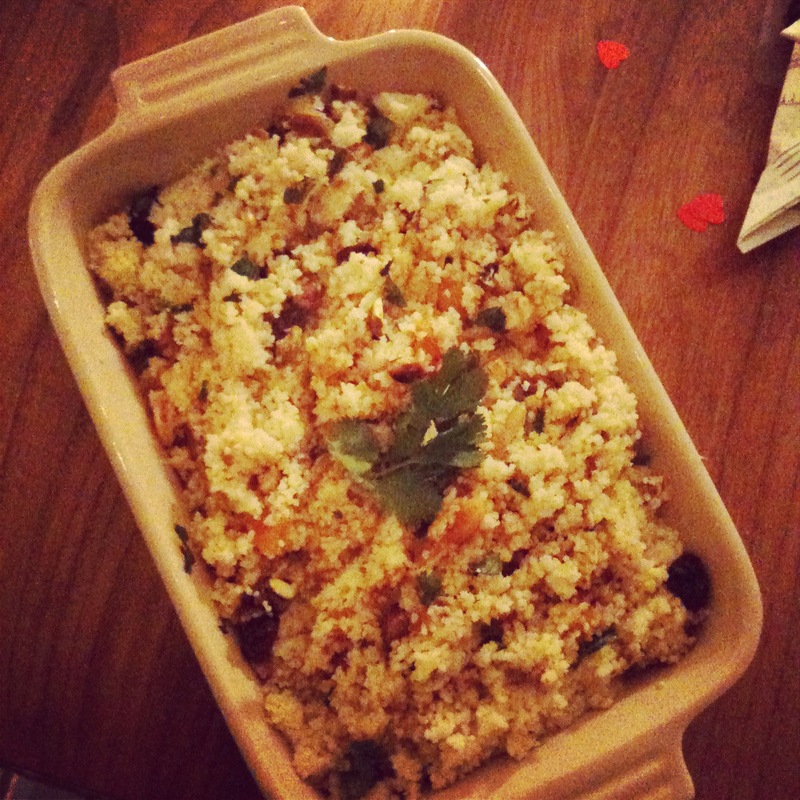 and fruited couscous – finally a use for the jar of preserved lemons that have been lingering in my cupboard! It’s the first time I steamed couscous (I normally cook it in a curried stock) and it definitely made it fluffier! I also tried to sneak in roast beetroot because they looked so pretty but he wasn’t having any of it! The meal was washed down with a very pleasant McGuigan’s Shiraz Viognier. Dessert was to have been chocolate and rosemary sorbet but we’re not really dessert people so it never happened! 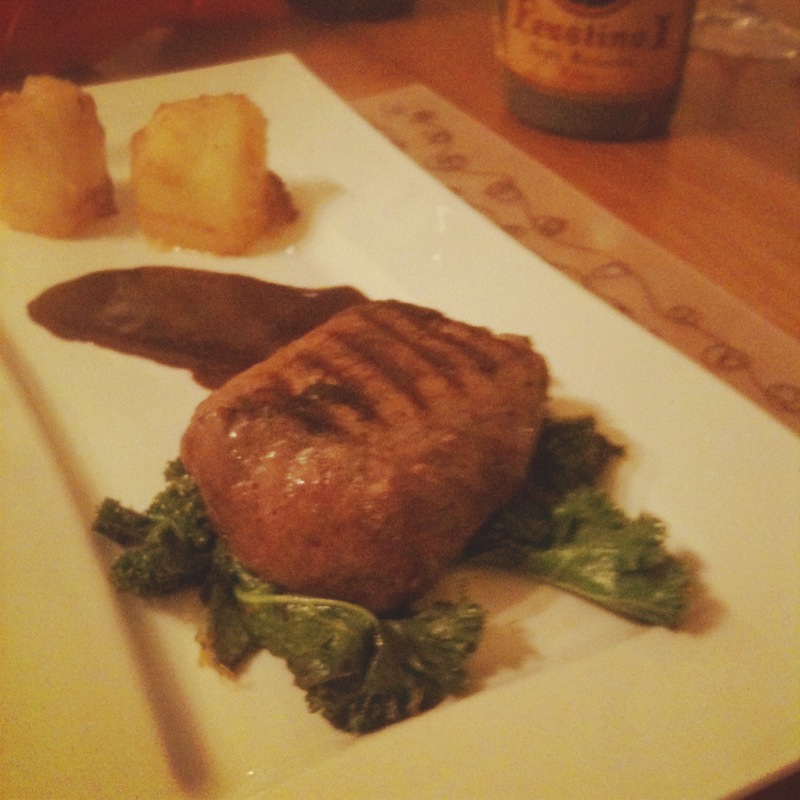 The verdict – I’ll definitely make the duck again and I may try the sauce with chicken or lamb. The couscous will be redone, simply to check if the soaking and steaming is worth it! The potatoes are now on my favourites list – I have to try them with the suggested roast garlic and créme fraiche. I only realised afterwards that I had prepared all these dishes without using any butter or cream so they have to be good for you! Crazy Water Pickled Lemons has already earned it’s place on my ‘favourites shelf’ – there are lots more recipes I want to try. Tonight’s dinner is going to Sausages & Lentils with Sweet & Sour Figs – I found the dotiest mini figs to use! Thanks again to the lovely people at Octopus Books for sending me the book – but you’re not getting it back!!! Toast the walnuts in a dry pan, then grind in food processor but not too finely – you want some chunkiness for the sauce. Sauté the onion in the oil until soft and starting to colour. Add the cinnamon and stir for about a minute. Then add in walnuts, molasses, pomegranate seeds and stock. Bring to the boil and then allow to simmer for 15 minutes until sauce has thickened. Season the duck breasts and seal on both sides in a very hot pan, then transfer to preheated oven (200C/Gas 6) for 7 minutes. Stir in the fresh mint into the sauce and serve alongside the duck breast. Diana Henry suggests serving the duck with ‘simple side dishes such as rice and sautéed spinach’ – I hope she doesn’t mind me adding a few more bits! The above recipe serves 4. I halved everything but had more than enough sauce for 2.